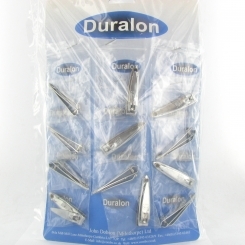 Everyone needs Wholesale Nail Clippers. Whether they want a pair for their purse or know that they are must have items for any nail salon, you will find them right here at Northwest Cosmetics. 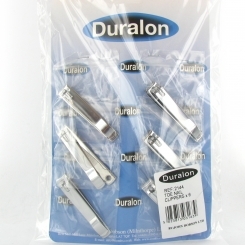 Duralon’s range of nail scissors and clippers are great value for money, long lasting and great for any nail artist. Whilst other brands like Royal offer cuticle trimmers and false nail tip cutters that are tailored towards though that work with nails in the world of wholesale beauty. Browse our range of wholesale nail clippers, cuticle trimmers and nail scissors that you can’t live without.